The annual observance of children’s dental health began as a one-day event in Cleveland, Ohio on February 3, 1941. During that year, February 3-7 was designated as Children’s Dental Health Week in Akron, Ohio. 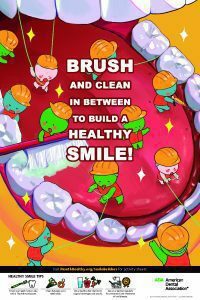 The American Dental Association held the first national observance of Children’s Dental Health Day on February 8, 1949. This single day observance became a week-long event in 1955. In 1981, the program was extended to a month-long celebration known today as National Children’s Dental Health Month. I have always seen all ages, from age one on up (first visit by first birthday). There are occasions that a child has specific dental issues requiring referral to a pedodontist (children’s dental specialist), but these are not common.